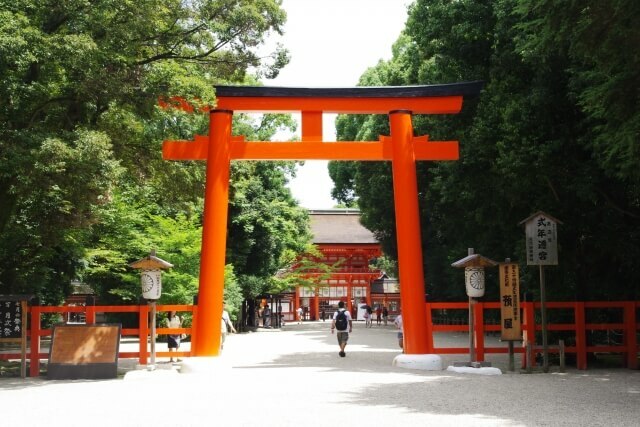 When people tour Japan, almost visit some famous shrines such as Fushimi Inari shrine and Meiji shrine. 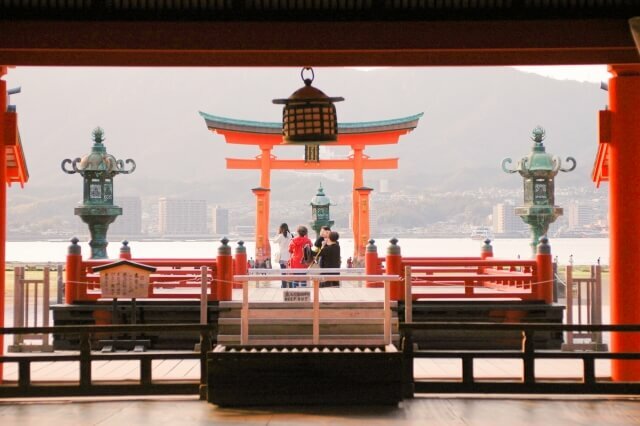 Did you know the truth that there are some important things you have to follow when you visit shrines? Let’s learn big three manners and those meanings, and enjoy visiting historical places more! Shrine is a place where Japanese Shinto god living and sometimes common people who had great achievement are worshiped. When you visit shrines, what you see at the first is “torii gate” that have a role to make line between inside and outside shrine. Passing tori gate means you steps into holy place. Some people bow to god inside when they pass gate to show respect to god. After you passed torii gate, you would see main shrine ahead. Where should you walk? The answer is walking to the side area of the pathway. The center line of the pathway is for god, so you should not walk there. As you walk toward main shrine, what you would see the next is water place, called “temizuya”. 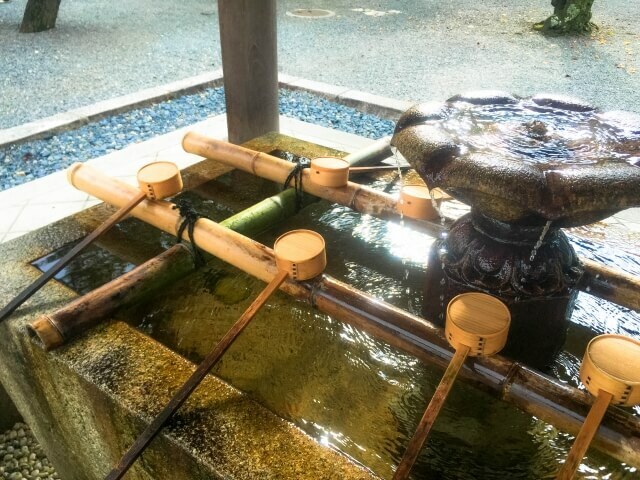 Temizuya is a pavilion consisting of a water to purify your hands and mouth before you see the god. Water is always running and very clear water is provided. First, scoop water on your right hand and wash your left hand with ladle. Switch scoop on left hand, and wash your right hand. After both hands were washed, scoop water on your right hand again and pour water on left hand, then rinse your mouth. Never touch the ladle directly to your mouth. Lastly, using the remaining water, tip the ladle to rinse it off. The water is as clear as possible to drink, but never drink! Now you finally reach to the main shrine! At first, take off your hat or cap because you are in front of the god. 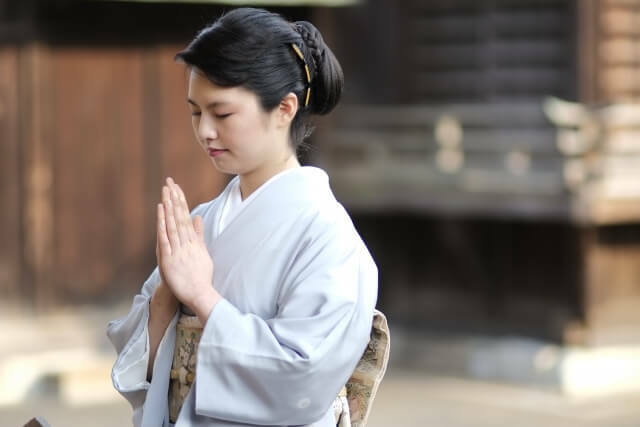 Before you pray to the god, you need to throw your coins into “saisenbako”, offering box. There is no specific amount of coin you should throw, heart is important. Then, in order to let god know you visit them, ring the bell. And now it’s time to pray. Bow two times, and clap your hands in front of your chest. With your hands still together, express your feeling without speaking. When you pray to the god, it’s better that tell your name and who you are. Don’t forget to bow one more time after praying.